The Mad Ravens are making their return in The Apprentice. This year marks the fourth outing of the troupe who have previously brought us ‘Requiem for Julie’, ‘Aisling’ and the Raven Beckons. 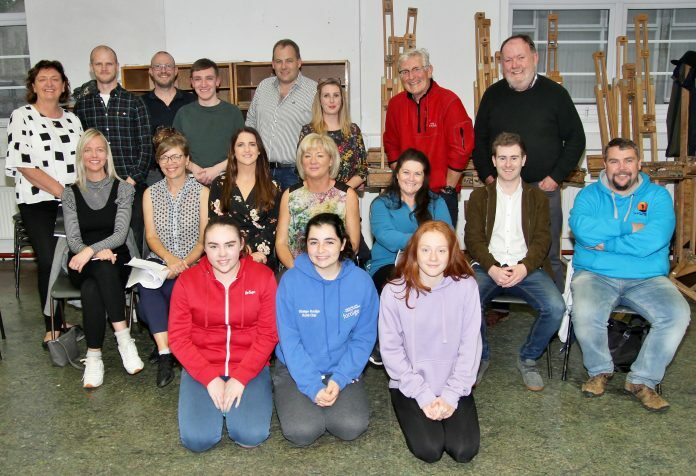 The latest production will bring together many of the stalwarts of previous shows such as Micki Murray, Brendan Tierney, Vanessa Saunders and Elaine O’Gorman. Micki Murray returns as director and star and Shaun Purcell, writer of the aforementioned productions, has penned this play as well and will act as musical director. “This is the fourth year we have being putting on a musical and each year we raise money for a chosen charity. Previously we raised money for the Hospice and the Hawk’s Well and this year we will raise money for Sligo Cancer Support Centre,” Shaun said. The play, which Shaun originally wrote with Dublin as its location, now has a distinctly Sligo feel and the location of this production has swapped from the capital to Finisklin. “The audience will recognise the place names and some of the dialogue and we hope so that it has that real Sligo feel to it,” Shaun said. Shaun describes this piece as a “light musical comedy with characters that people will recognise and connect with”. It follows the story of the feckless duo of Billy and Knuckles, Mr G the gangster and his moll, and the romantic hero and heroine. “The cast is an eclectic mix of 14 to 60 somethings so there is every age really taking part. We have students from Grange Post Primary School that are involved in music and drama in the school as well as people who are much older that have never done something like this on stage before. It is a very professional feeling show which we hope will be fun and raise some funds for a very good cause,” Shaun said. The show is on Tuesday, October 2 and Wednesday, October 3. Evening shows begin at 8pm and the matinee is at 11am on Wednesday, October 3. For interviews with the cast, see this week’s Sligo Weekender newspaper – in shops now!